One of the key concepts in the entry is "speaker recognition." Apple devices are designed to only wake up when their main users say "Hey Siri," helping to minimize "imposter accept" and "false reject" rates. The latter refers to cases in which a device doesn't wake up for commands. 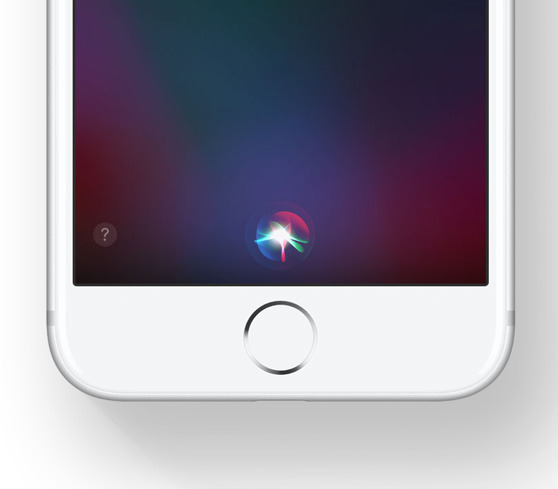 Speaker recognition is why people are asked to repeat the phrase "Hey Siri" several times when they set up the AI assistant. A problem with this approach though is that people are usually repeating the phrase amidst the same ambient noise, which is why Apple collects additional recordings during real-world use, though the company has to avoid using too many of these early on to avoid ruining the original training. Conceivably, future versions of Siri could let users skip explicit "wakeword" training and use "Hey Siri" from the get-go, the Siri team wrote. The group is still working on handling the impact of echoes and noise, and said it has had some success in augmenting training data with different kinds of such effects. Apple is thought to be racing to improve Siri, as evidenced by the poaching Google's John Giannandrea to head up machine learning and AI efforts. Google Assistant is often considered the best AI assistant on the market, able to draw on Google's combined resources to understand and answer many different queries. A chief criticism of the HomePod, Apple's first smart speaker, has been its dependence on Siri, which is typically ranked beneath both Google Assistant and Amazon Alexa — a serious problem given the head start and popularity those assistants' associated speakers. Support for third-party apps in Siri can be cumbersome or non-existent, for example, whereas products like the Amazon Echo support many options out of the gate. Apple's Machine Learning Journal launched in July 2017, with a post discussing neural net training with collated images. The site appears to be part of Apple's promise to allow researchers to publish what they discover and discuss what they are working on with academia at-large. The sea change in Apple's policies was announced by Apple Director of Artificial Intelligence Research Russ Salakhutdinov. Apple has found it historically difficult to recruit top minds in Artificial Intelligence, as the company's stance on preventing researchers from sharing findings, as well as the company's consumer privacy policies hindering product development has caused problems for researchers. Beyond Siri, Apple appears to be branching out into other avenues of artificial intelligence and machine learning. In an interview in August 2016, Apple CEO Tim Cook called AI one of Apple's core technologies for the future, with the hiring of Giannandrea seemingly crucial to fulfill Cook's vision for the technology.